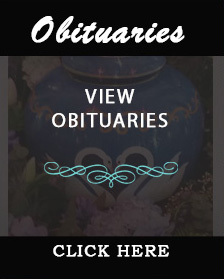 Founded by Thomas "TC" and Etta Weymouth in 1960, Weymouth Funeral Home is a full service, family owned funeral home and crematory. For three generations we have served our Hampton Roads neighbors with compassionate and professional attention to detail. Since 1996, their daughter, Veronica Weymouth, has been overseeing the family business; keeping her parents vision of serving the community alive. Her brother-in-law, Monte German, serves as the General Manager. We understand that each funeral or memorial service should be as unique as the life being celebrated, and we offer services that best reflect each person's life, interests, customs and religious beliefs. Our services are tailored and personal to each individual with options available for all budgets. We will assist you with all aspects of the funeral service including all necessary paperwork. Our on-site crematory was the first on the Peninsula. We are also available to preplan your funeral. We are on call at (757) 930-2222 24 hours a day, with a Weymouth Funeral Home employee, not an answering service, taking your call.